It would be forgivable if Johnny Sportsfan, upon walking into Austin’s Cover 3, immediately wondered if he was in the right place. Aside from the 16 TVs in the cavernous, two-story building, there’s not much to indicate that you’re in a sports bar—nary a team pennant in sight, nor a single ball autographed by Vince Young or Kevin Durant or Roger Clemens. The only items adorning the walls are a smattering of paintings (contemporary art, not an oil painting of Tim Duncan riding a mechanical bull or something) and a few guitars, branded by liquor companies like Tito’s Vodka and Jim Beam, that have certainly never been played. 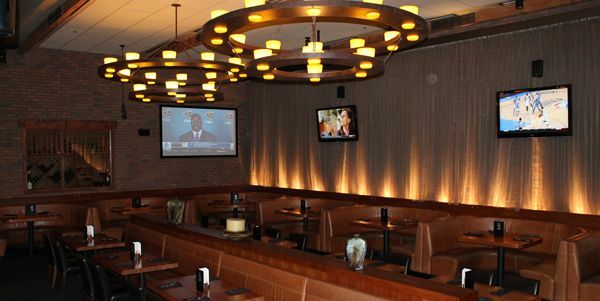 If that sounds like a novel sports bar experience, it’s because … yes. The lighting is low; the furniture includes tasteful wood-and-leather seats; on a Saturday afternoon, you’re as likely to be greeted by the sound of early-00’s pop music (“Maneater” by Nelly Furtado, specifically) as you are the sound of a game. But just because a place doesn’t look like a traditional sports bar doesn’t mean it’s unsuitable for some impassioned sports viewing. That’s the thing about Cover 3: there are plenty of sports bars within a five-mile radius of the place that have walls speckled with framed photos of Earl Campbell and Colt McCoy. There are countless places where a sloppy bartender will argue with you about Jerry Jones (“Is he the worst person in the world, or just the worst person in football?”). There are spots every half-mile where you can grab a quick beer and some chicken wings and stare at a screen—this is Texas we’re talking about. But how many of them have their own wine room? 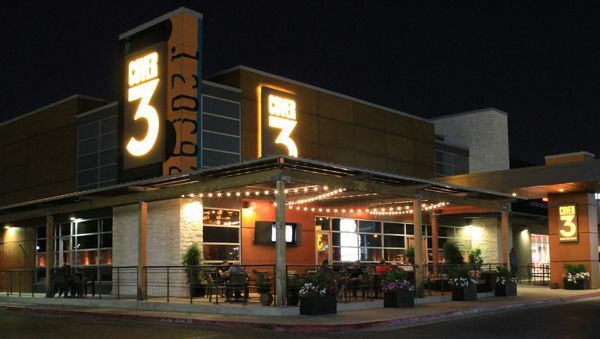 Cover 3 eschews the homey charm of the Texas roadside sports bars that feature dudes screaming at each other, and instead offers an experience that’s decidedly more upscale. It may make for an experience that’s a little more Jean-Ralphio than Ron Swanson, but the thing that’s great about sports is that they’re for everyone—and that means people whose palates are a bit more refined, too. Which brings us to the food, Cover 3’s biggest selling point. There’s something glorious about gorging on wings and fried cheese while simultaneously watching people in elite physical condition perform acts of skill and dexterity that you yourself would never be able to duplicate. But is it a hard and fast rule that says that all sports bar food should exist primarily to highlight the gaping chasm between your own body’s condition and Adrian Peterson’s? Cover 3’s menu has a few nods to the gluttonous ways of sports bars—fried pickles, four different hamburgers, a footlong hot dog called “The Homewrecker”—but it also has a lot of options that might not make you hate yourself the next morning. Maybe start with the seared ahi tuna (above)before diving into a jumbo north Atlantic scallops entree? Perhaps the Cover 3 salad (right), with mixed greens, candied walnuts, Fuji apple slices, and crumbled goat cheese, topped with an oregano vinaigrette? Or, if watching sports does fill you with an insatiable hunger for red meat, call on the 22oz bone-in ribeye? So, no—Cover 3 is not what you might expect from a sports bar. Especially not one in Texas, where we claim our roadhouses like a badge of honor. But we also pride ourselves on doing things a little bit differently down here—and when it comes to Cover 3, you won’t find anything else like it. Number of TVs: A whopping sixteen. Reason to show up for the early games during football season: A Bloody Mary bar + Sunday Ticket = Let’s see your local spot offer that. Dan Solomon lives in Texas. His work appears in Fast Company, Vulture, MTV Hive, and the Austin Chronicle. He has a dog named Dio.